Update (April 11th, 2017): All places for the conference have now been booked - many thanks to everyone who has booked a place. There was huge demand for places; apologies to anyone who wanted to attend who was unable to do so. David Gregory, UK Education Consultant for LEGO UK will be delivering a keynote presentation. Time To Change (www.time-to-change.org.uk) will be leading workshop sessions sharing information and ideas from their wonderful nationwide programmes. 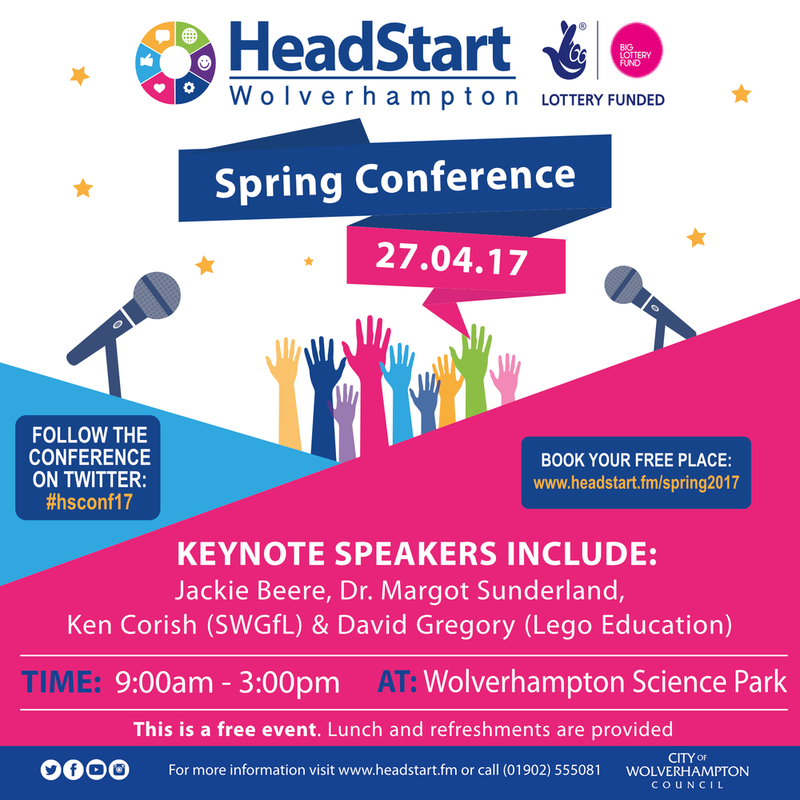 You can follow the conference on Twitter using the hashtag #hsconf17, so if you were unable to attend, or just want to follow along with the conversation, join us online from 9am on the 27th April.